Calvin Abueva has been making a difference for the Alaska Aces ever since he joined the team few months ago. 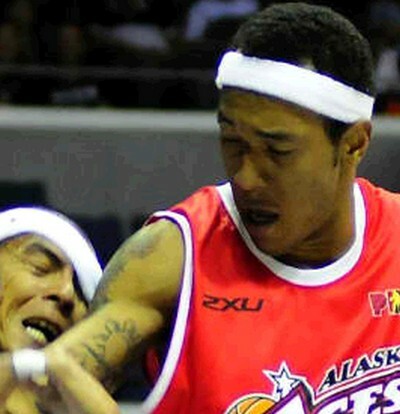 Scoring, rebounding and hustle plays are some of the things that Abueva brought to the Aces. The 2nd overall Pick of the Aces has been playing really well. In fact, he has already received his 2nd PBA Press Corps Player of The Week Award yesterday. Abueva’s 1st PBA Press Corps Player of The Week Award was given to him for the Oct. 22 to 28 Period. He already has impressive averages that time registering a double-double 17.5 points and 10.5 rebounds per game. Talking about being a great player, Calvin Continues to improve as he now has an average stats of 20.5 points, 15.0 rebounds, 3.0 assists, 1.5 steals and 1.0 block per game, earning him the right to be the PBA Player of The Week from Nov. 26-Dec. 2 period. He registered that during their games against Meralco and GlobalPort. “You've just got to admire his efforts on both ends of the court," said coach Trillo. Abueva is only 24 years old, thus, we can be sure that he will become a more reliable player in the years to come. #BeastIsIt!